The Icelandic horse is well fitted for the greenlandic nature. Due to the weather in winter/summer and the landscape. 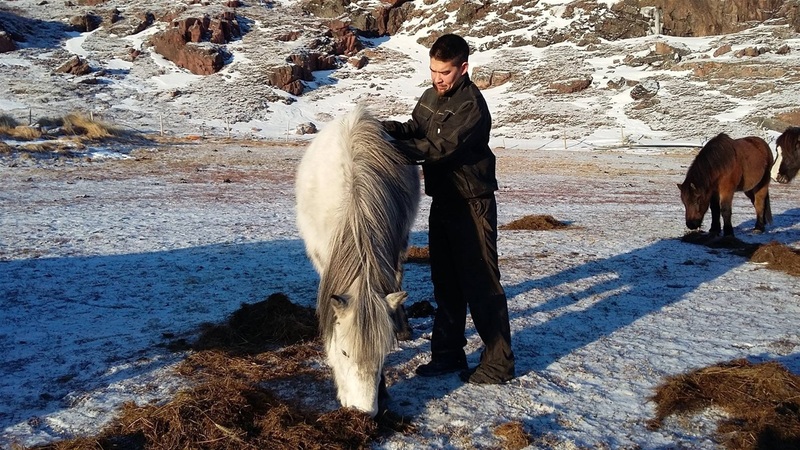 All horses in Greenland are Icelandic horses and mostly it is the farmers who have horses. 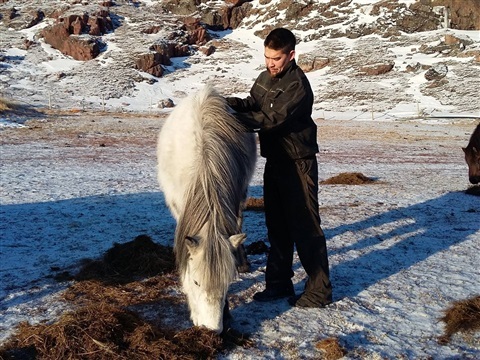 There are about 50 farms in South Greenland and not all farms have horses, but in our farm we have 10 horses which is many. some have more horses and some have less or none. The farmers have horses mainly for the purpose to ride on them on the mountains when gathering sheep. 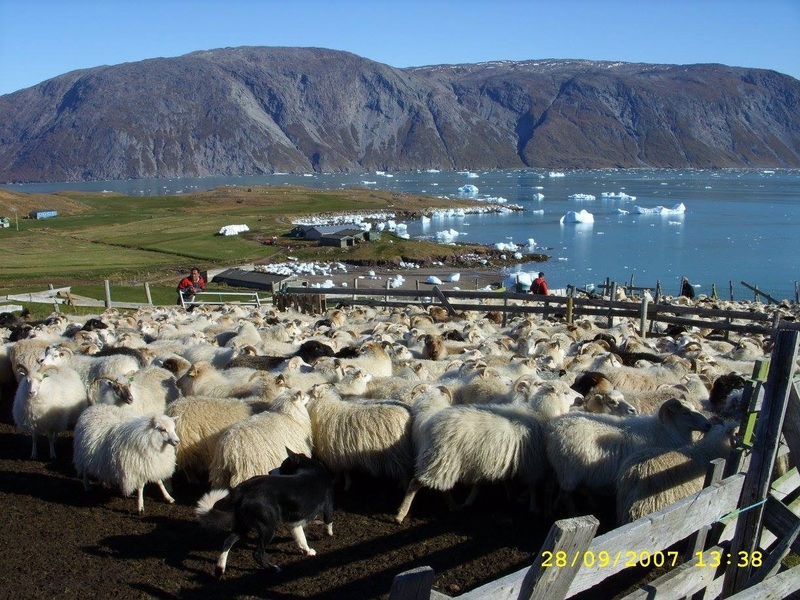 At the end of summer all the sheep gets collected and brought inside the stables for the winter. 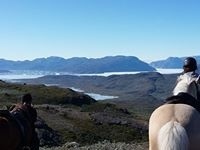 Summer in Greenland is very short and that is the only time we can offer tours. When the snow and ice has melted away we start riding the horses and do some simple exercises with them. 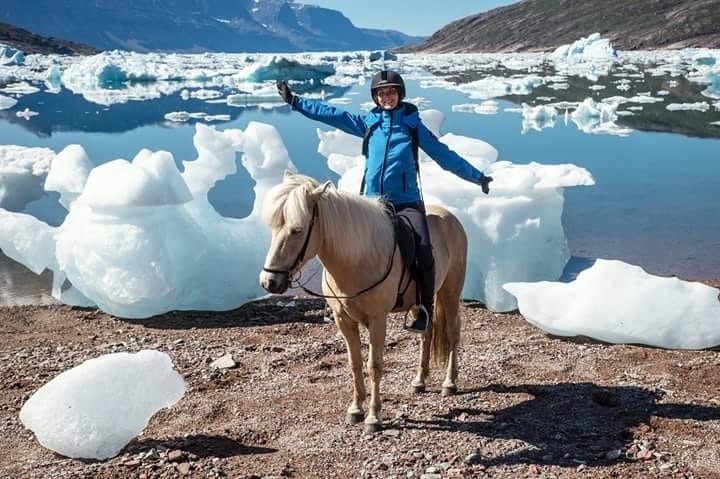 There are no arenas or stables for horses in Greenland so the horses spend almost all time outside. Most farms have a shelter for the horses during winter, and ours can go in and out whenever they want to. They are fed with hay we collect during summer and all the hay are for the sheep and horses during winter only. In summer they eat outside in the mountains. The horses that will ride on the tours are kept in the farms in fenced areas and the other horses go free on the mountains with the sheep. We are the third generation living on the farm. Piitaq is born in 1989 and is married to Naasu born in 1990, they got married at the age of only 22, the same year Piitaq took over the farm after his father sadly passed away from cancer. Dolfi Lund is Piitaqs grandfather, the founder of Inneruulalik sheep-farm in 1946. Dolfi was married to Marie-Kathrine and they had 8 children. Dolfis younges son Jørgen Lund took over the farm when Dolfi retired and Jørgens oldest son is Piitaq. 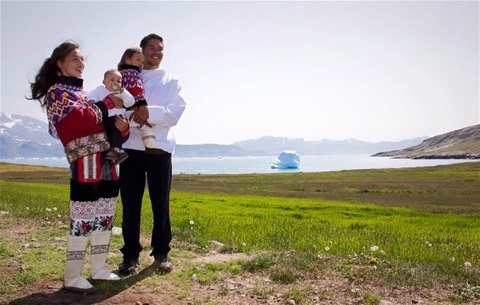 Piitaq and Naasu has a daugther Kimmernaq born in 2013 and a son Joorut born in 2015. There is over 400 sheep in Inneruulalik, two dogs, two cats, ten horses and chicken. The farm has it's own watercraft that supply the entire farm with electricity and heat in the houses, the fresh water in the houses are from a river, the food we serve to our guests are our own lamb and selfcaught fish. We also bake bread and give our guests the egs from our chicken. We had our first tour in the summer of 2016 and have had 3 tours each summer after 2016 and for 2019 we will have 4 tours. The trail-ride we have chosen is what we believe shows everything beautiful in our area. Piitaq puts shoe on all our horses and because there is only one vetenary in town of our entire area we have to do medical things for all our animals ourselves with medicin from the vet. 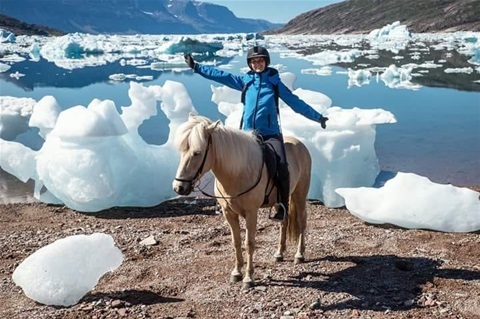 All horse-equipment is bought online from other countries since there is no shop for horse-equipment in Greenland. 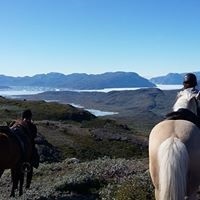 We are the only ones local in Greenland who have a trail-ride on horses for guests. In January 2018 we won an award for young entrepeneurs with the title 'best placed-business'.